I finally tried a Wool and the Gang pattern! 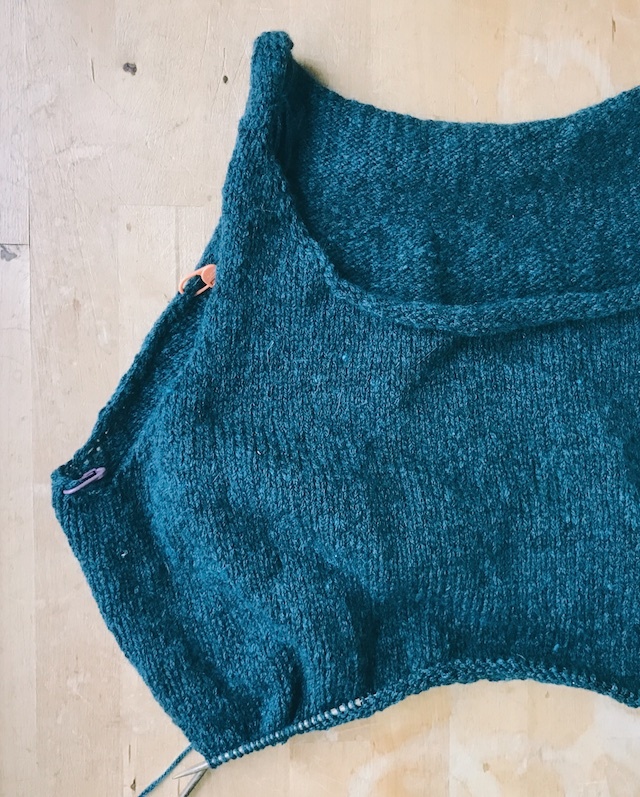 I love the Tommy Top, but I needed a little more yarn to finish. 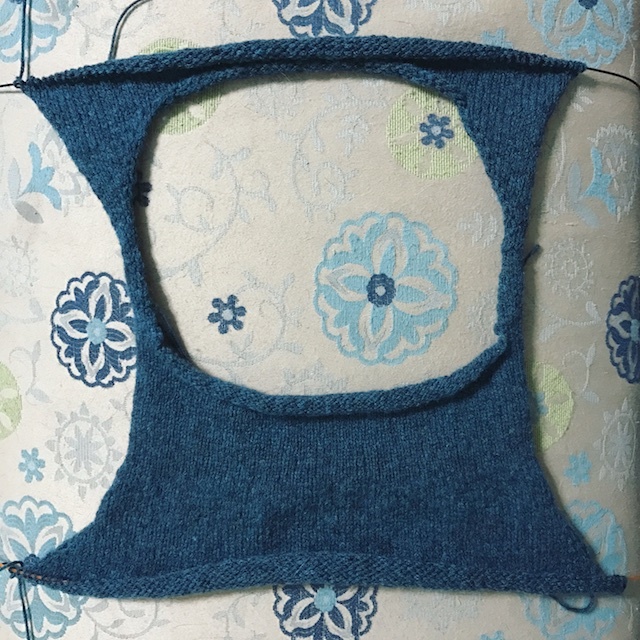 I think I knit it at a tighter gauge than instructed, maybe that's why I ran low. I could've ripped back and blah, blah, blah, but nah. Besides I want it to be kind of long in back. Don't you love marled cotton? This could've been a weekend knitting project, had I not run short. But I did, so while waiting on that one ball, I finished a shawl project and vegged out in front of a couple of seasons of Homeland, while it rained for a week. Basically, I watched enough to be really, really sad at the end of season 3. 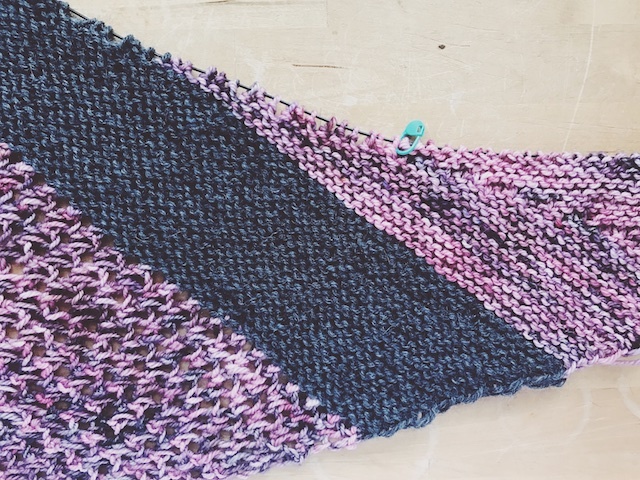 The one bright spot was finishing up my Orri Shawl, by Lee Meredith. 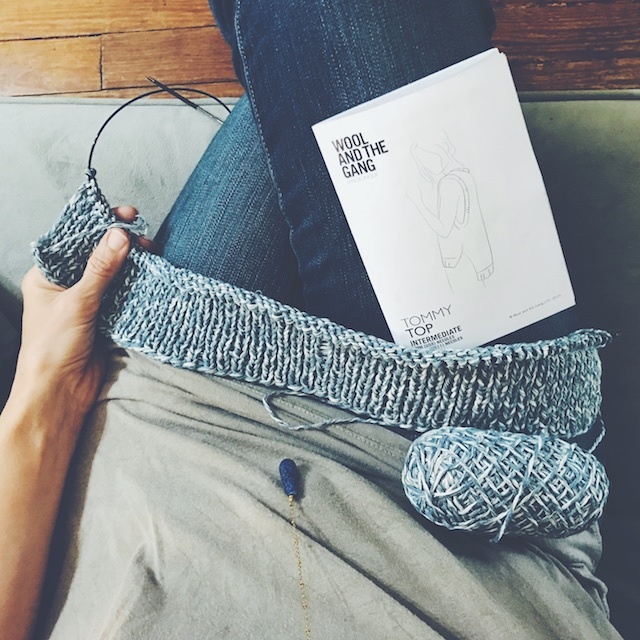 This is a great project for variegated wool. I loved every second of the knitting. I didn't weave in the ends because... vegging, remember? Pictures will come later. Next, I picked up my Gingerbread Sweater, by Libby Jonson. 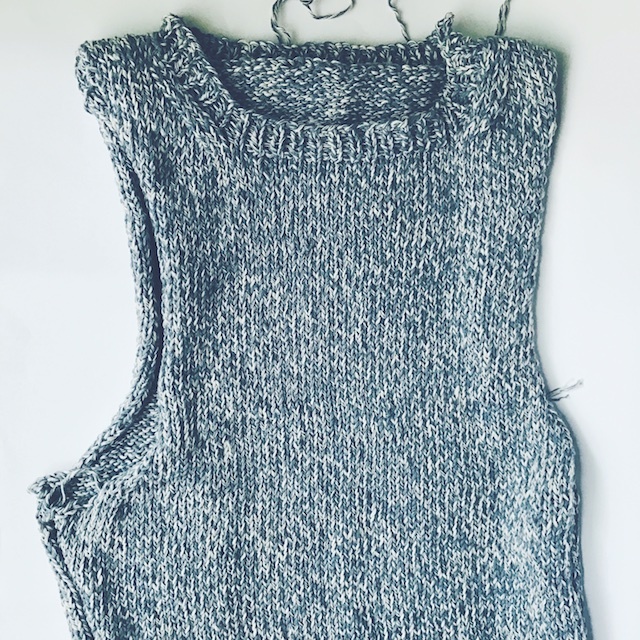 I did have to give it some focus to finish knitting the neckline, but once I joined beneath the armholes, it was/is smooth, stockinette sailing for 12 inches. This yarn is only about 10% cashmere, but it's super fuzzy and warm. I like the fit I'm getting, but I'm still not confident about whether this yarn will bloom and grow. Now, I've done it. I can't say that phrase I hear "Edelweiss" in my head... for the rest of the day. Sigh. I have to get the fit right on this one. I can't abandon it to a project bag for years the way I did with my Pomme De Pin. 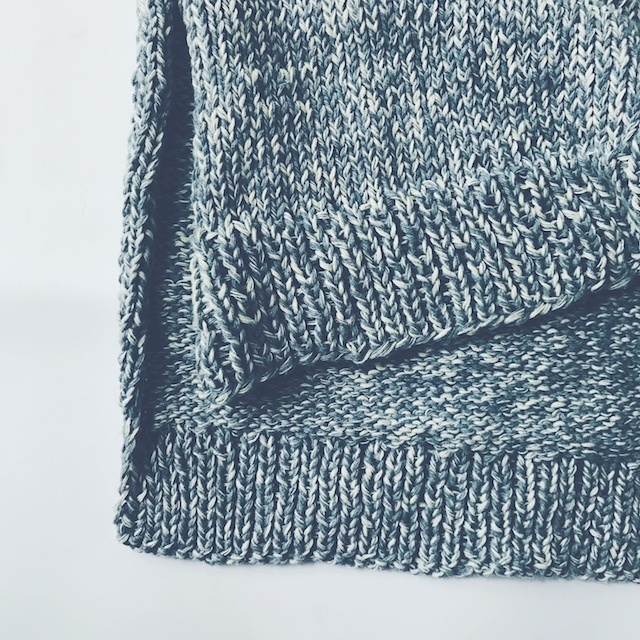 It is the exact classic, wide-neck sweater style I want in a comfy yarn. 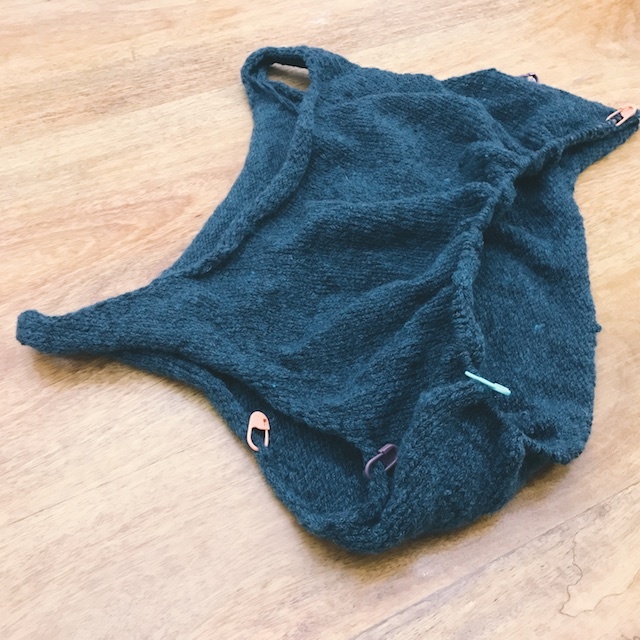 So, if it's too big I'll either stuff my bra or re-knit it. One is preferable to the other.